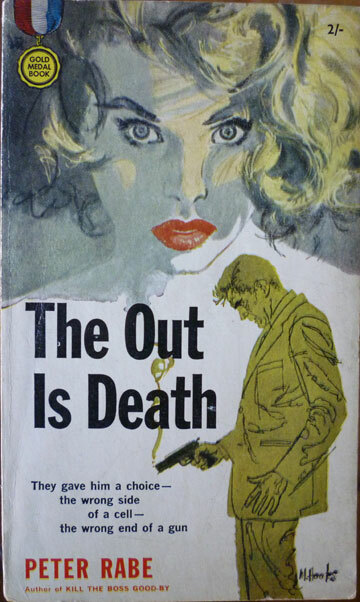 A 1959 first UK edition of The Out is Death (originally issued in the US in 1957), with a cover by Mitchell Hooks, and a 1960 UK edition of Bring Me Another Corpse (originally issued in the US in 1959), cover artist unknown. 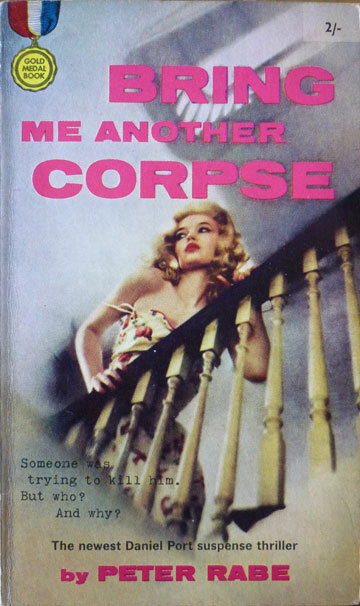 Both of these were published in paperback in the UK by Frederick Muller, in association with Fawcett Gold Medal, the original US publisher – essentially the same books and covers, but with a UK price on the cover and UK title/copyright page. And they're both Daniel Port books – Rabe's loose series of novels featuring a reluctant hoodlum, numbers two and five, I believe. Port knocked on the door... Kirby opened it. He took one look, a smirk came over his face, and he stepped back ceremoniously. "Walk in! Walk while you can walk," he added, and started to laugh. Simon stepped to one side so Port could go in first, and then he followed without haste. He walked slowly up to Kirby and moved his arm towards Kirby so that it looked like nothing. Kirby collapsed on the floor and Simon shut the door quietly. "And now I want to ask you something else. You know this girl Katie?" "I don't know no girl Katie." "Yesterday. The one you took away from my friend Simon." "Oh," said George and looked at Simon. He meant to say more, but Simon had thrown the chair at him. Great stuff. 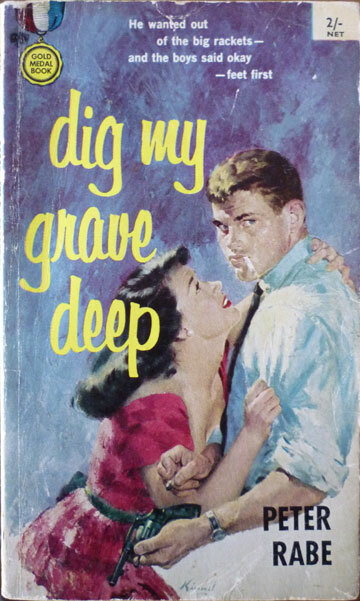 I reckon I'll definitely be trying to track down the books in the series I'm missing.